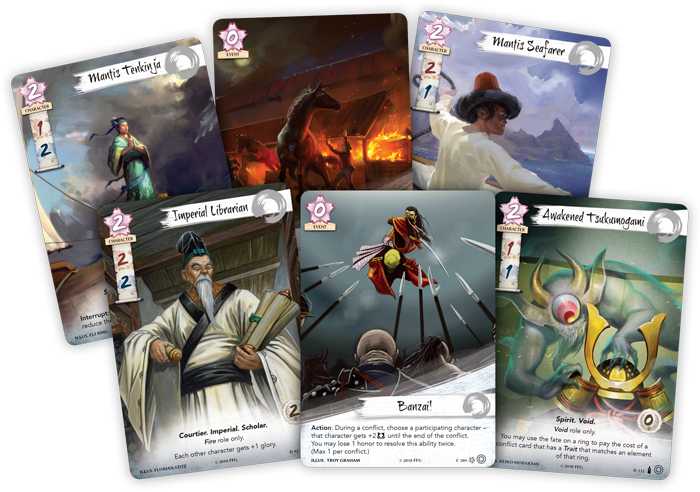 In Legend of the Five Rings: The Card Game, it is each samurai's duty to venerate the kami and to serve his or her clan and the Emperor. As the Emperor's spiritual advisors, the leaders of the Phoenix clan are most notably concerned, but the imbalance extends beyond just one clan. It is every samurai's duty to serve the Empire, and the whole of Rokugan may be at risk. Where can you serve your Emperor? Where can you lead your clan's appeal to the kami and help restore the elements to balance? You can make a start at the game's Elemental Challenges and Elemental Championships. Like the Kotei Series, these special, high-level tournaments come with exclusive prizes—and they can reshape your clan's connection to the elements. Coming soon, the game's Elemental Championships reward top performers with more than physical prizes. These prestigious events run at qualified retailers, and the winner of each earns a seat at the Winter Court World Championship. Additionally, the Top 2 players from each clan each get to vote for their clan's next elemental role! Smaller than the Elemental Championships, Elemental Challenges run at conventions and similar events and serve as a sort of training grounds for the larger Elemental Championships. Each Elemental Challenge features a number of Swiss rounds with no cut, and the winner of each claims a first round prize bye for a future Elemental Championship. What prizes could you win at an Elemental Challenge? And where would you find one? Read on to learn about the prizes, and then click over to our list of venues to see where the first Elemental Challenges are scheduled to take place! 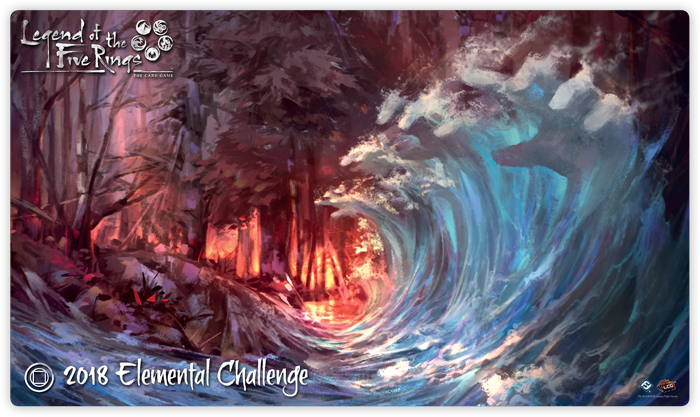 Participate in a 2019 Elemental Challenge, and you'll receive one copy of an extended art Banzai! as well as three copies of one extended art card tied to the element of your choice. 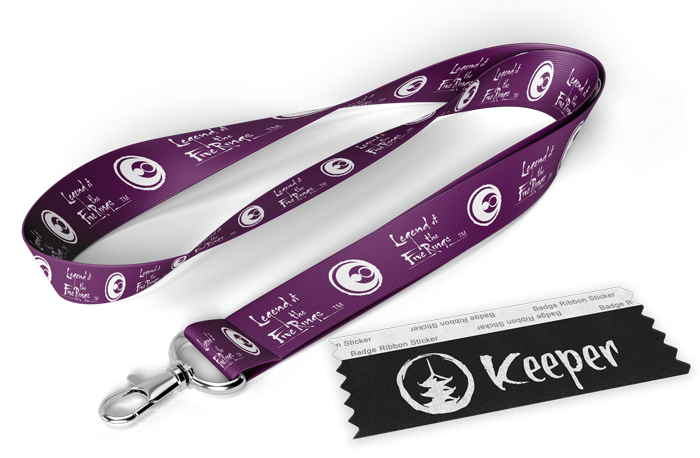 Additionally, your participation in a 2019 Elemental Challenge will earn you a lanyard associated to your choice of element—Air, Earth, Fire, Water, or Void. And you'll be able to decorate your convention badge with a ribbon that proclaims your choice of role—Keeper or Seeker. The better you fare in a 2019 Elemental Challenge, the more you strengthen your connection to the kami, earn honor for your clan, and position yourself to become your clan's favored representative at a future Elemental Championship. Every player who wins at least three games during a 2019 Elemental Challenge gains the favor of the kami—but you'll have to choose how you'll hope to use that favor. 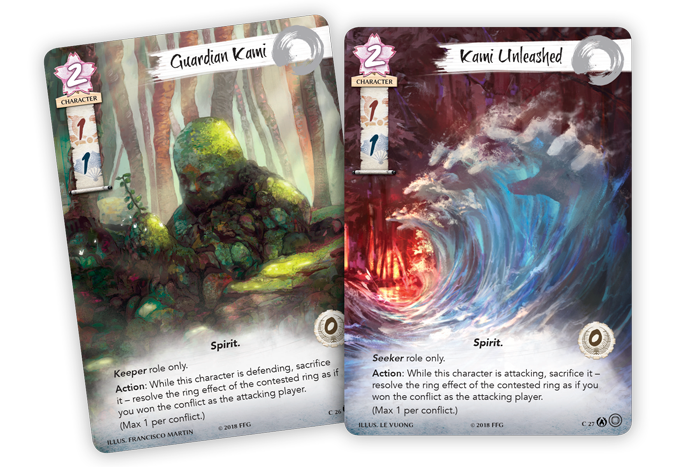 Keeper Role — Choose the role of Keeper and you'll earn three extended art copies of Guardian Kami. Seeker Role — Choose the role of Seeker and you'll earn three extended art copies of Kami Unleashed. 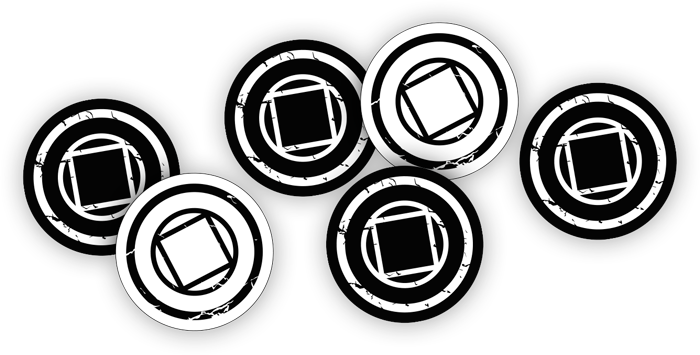 Every player who wins at least four games in a 2019 Elemental Challenge claims a set of six double-sided honor / dishonor tokens. Go undefeated through all five rounds of a 2019 Elemental Challenge, and you'll have proven yourself ready to take the next step for your clan. You'll be asked to represent your clan's interests at a future Elemental Championship, and you'll be able to start that event with a first-round prize bye. 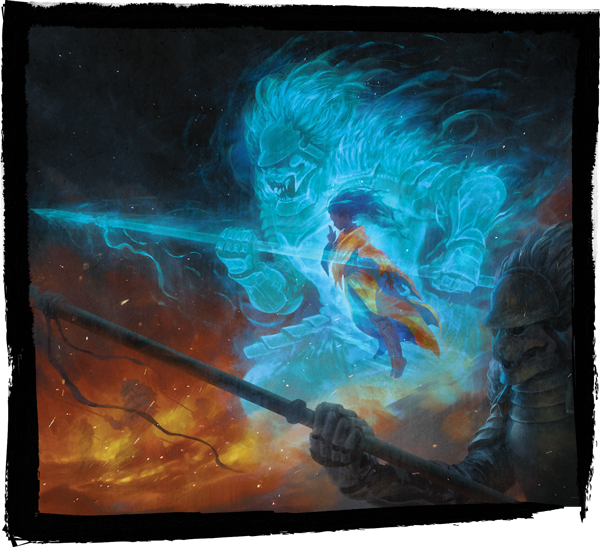 In addition, you'll earn your opponents' respect when you sit across from them and unfurl your custom playmat—laden with the power of the kami and ready to crash upon your foes like a watery fist. Help your clan find balance with the elements. Serve your Emperor. Honor the kami. And prepare yourself for the trials to come. 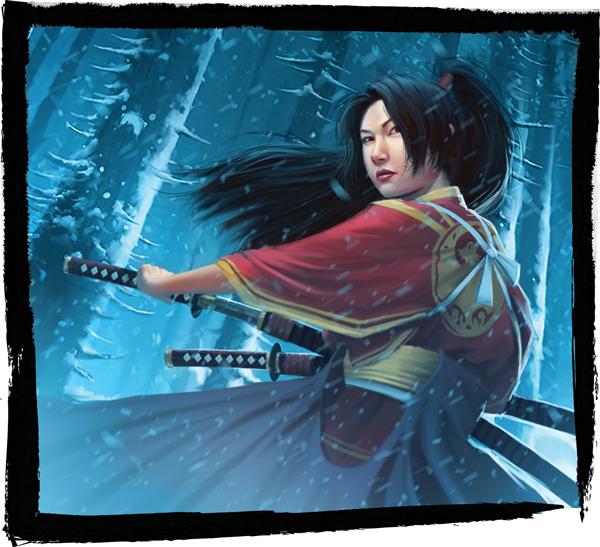 Honor, glory, and duty await you—along with a host of custom prizes—at the 2019 Elemental Challenges for Legend of the Five Rings: The Card Game. Review our list of Elemental Challenges to see what's coming!